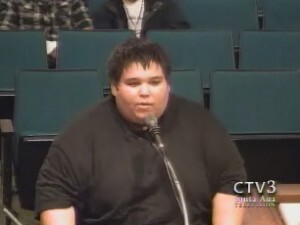 City governments are generally loathe to change but after what happened last night, when a punk wearing an offensive hat, and his creepy homies were able to disrupt the Santa Ana City Council meeting to the point that it ended up being canceled, it is clear that we need to restore order at the Council’s chambers. Station a drug-sniffing K9 officer outside the entrance to the Chambers and if he identifies someone that could be under the influence of illegal drugs or could have them on his person, then frisk him and have police officers check out his car. The miscreant will be carted off to jail if any illegal drugs are found. Equip police officers with hand-held metal detectors and have them check any visitors who a) don’t have business with the city (if they are at the City Council to receive an award or have business with the City then they just have to show I.D. to get in) or b) or are suspicious. Make sure that the decorum ordinance specifies that weapons are not acceptable at Council meetings unless you are a police officer. 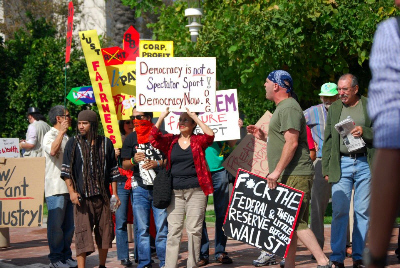 Occupy Orange County is hosting a Friday General Assembly in Santa Ana on August 9, 2013, at 7:30 pm. Click here to RSVP on Facebook. 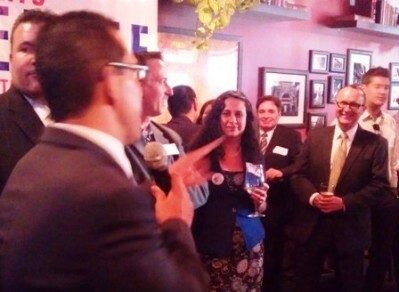 What has gotten into Congresswoman Loretta Sanchez? She used to be somewhat fiscally conservative but lately she has really lost it. For example, she testified in Congress this week that we need high speed rail – and her “evidence” was that she used to have to wait up to 45 minutes to take off in private jets, before she was in Congress. And her kicker was talking about the shutdown of part of the 60 Freeway, after a gasoline tanker burned up and damaged an overpass. 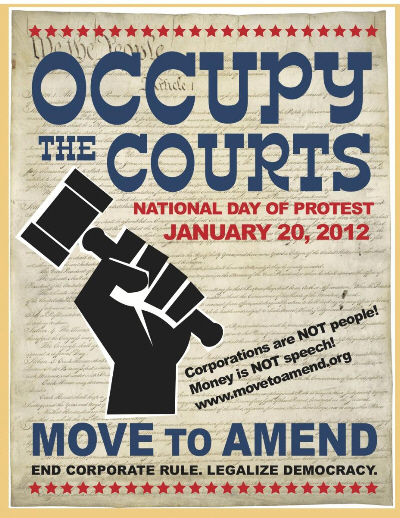 Finally a useful Occupy event! 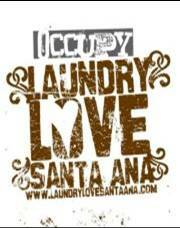 Occupy Laundry Love Santa Ana this Thursday, Nov. 17, from 5:30pm until 8:30pm, at Lavaderia Santa Ana, 406 East Santa Ana Blvd, Santa Ana. 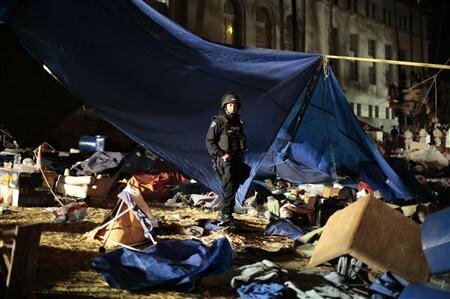 Time to shut down Occupy? The Occupy movement is still licking their wounds over the Santa Ana’s justifiable decision to not allow them to camp out overnight in our downtown. They will be in Irvine again this Saturday if you want to see them in “action.” They may also be in Santa Ana, in smaller numbers. Click here to see their Facebook page. Man Shot at Occupy Oakland – A young man was fatally shot Thursday evening just yards from the Occupy Oakland encampment outside City Hall. (San Francisco Chronicle). UPDATE: The Santa Ana City Council rejected Santa Ana Occupy’s request to camp out in Downtown Santa Ana, according to O.C. Register reporter Andrew Galvin, who commented on his Facebook page. 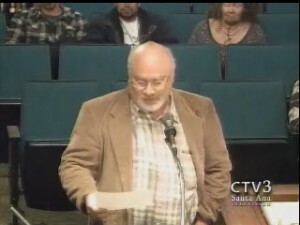 The Council meeting lasted until midnight but turned out to be an epic fail for Santa Ana Occupy, as we predicted earlier. I will be watching the meeting from home and you are invited to comment as the meeting unfolds. 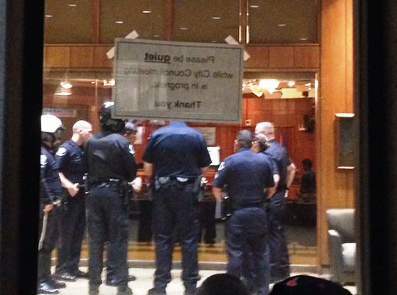 Update: Santa Ana Occupy’s camping bid is D.O.A. UPDATE: Barely over 20 Occupy protesters marched at the Santa Ana Art Walk on Saturday, according to the OC Weekly. Obviously this is a very small movement…no doubt our Santa Ana City Council will take that into account on Monday night. 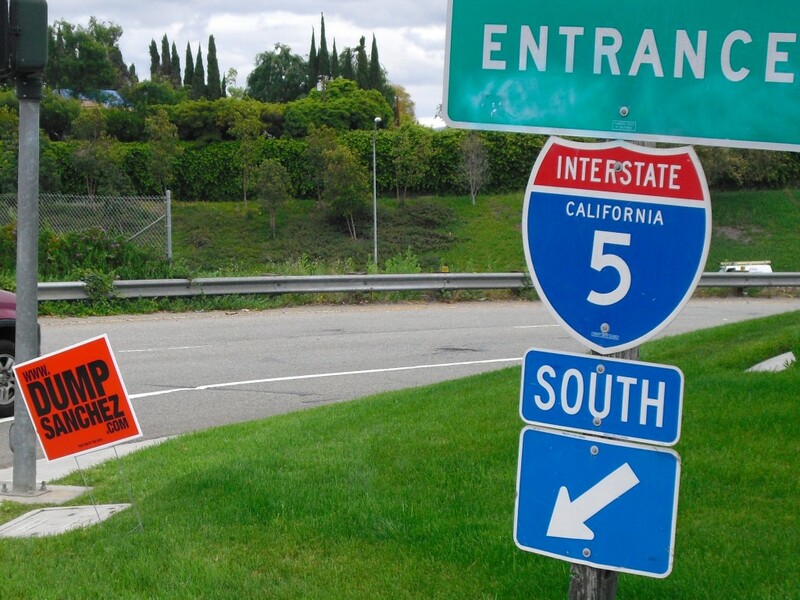 “Santa Ana’s City Council on Monday will undertake a discussion of the city’s no-camping ordinances in response to the Occupy OC movement’s wish to establish a long-term presence in the Civic Center,” according to the O.C. Register. Santa Ana Council Members David Benavides and Michele Martinez put the 85B item on the agenda – forcing the rest of the City Council to consider allowing the Occupy movement to camp out overnight in Downtown Santa Ana.